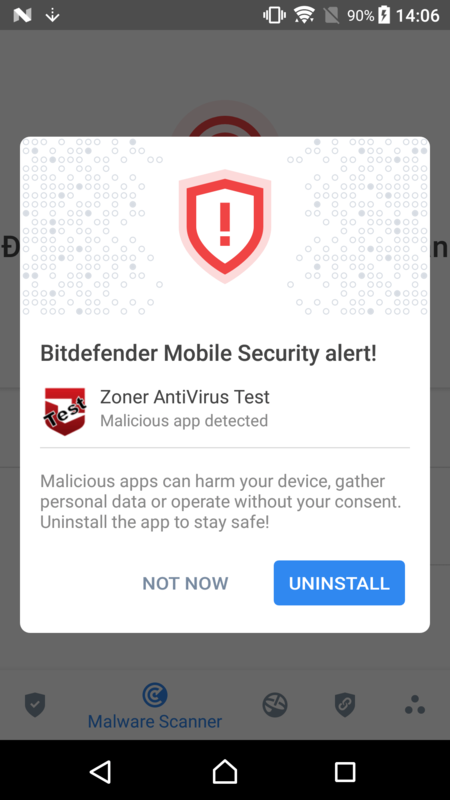 With the security app from Bitdefender, users put the best security application on their mobile device. Bitdefender Mobile Security provides unbeatable cloud-based malware detection & a smart antitheft experience for your Android devices. بیت دیفندر همواره بالاترین امتیاز و رتبه را از نظر حفاظت و مقابله به بد افزارها از آزمایشگاه های معتبر دریافت کرده است. 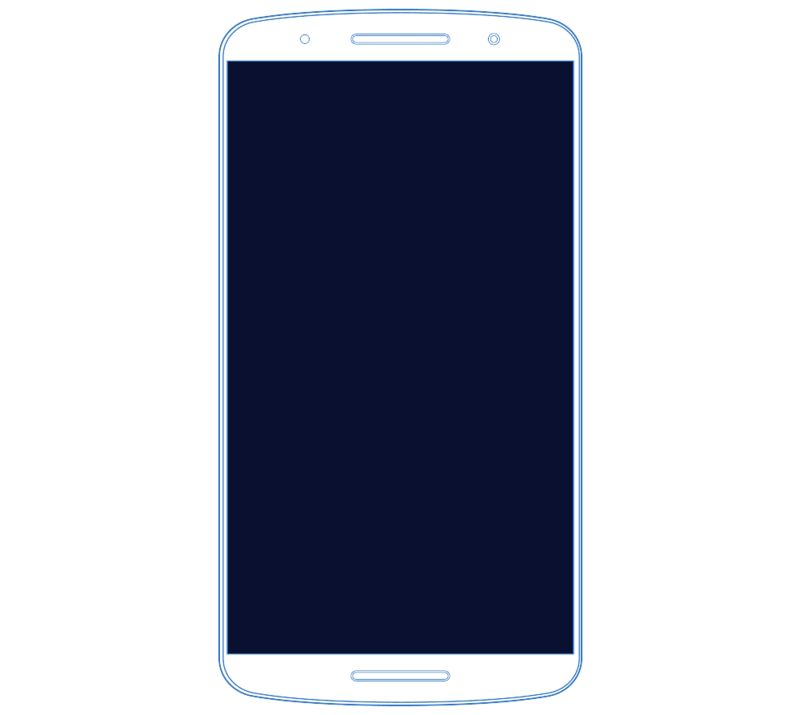 Scan your Android phone or tablet at any time to make sure all your apps stays clean. 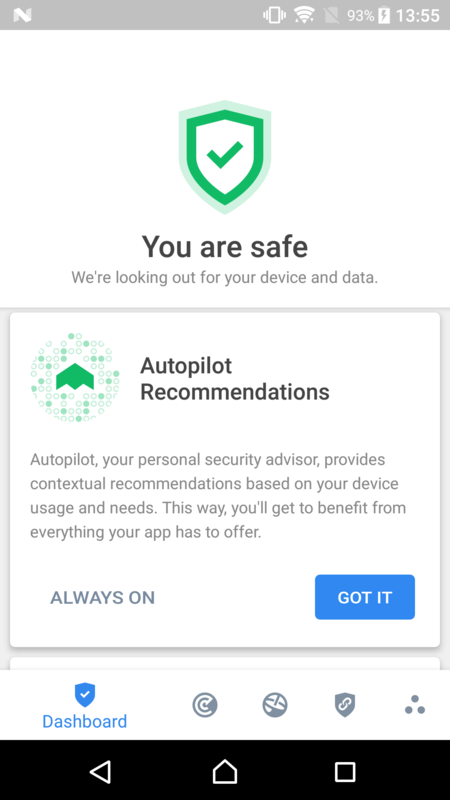 Plus, the antivirus module automatically scans each app once you install it, and immediately lets you know whether it poses any danger. 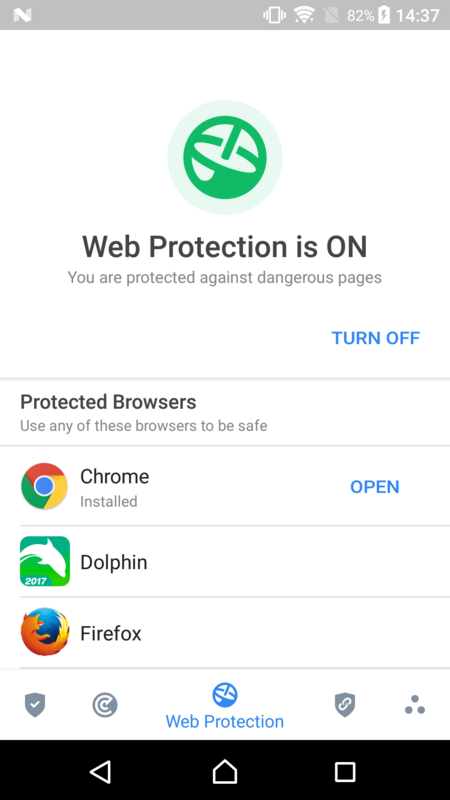 Browsing the Internet can take you to dangerous places, but Android security is always there to protect you. It alerts you to webpages that contain malware, phishing or other types of fraudulent content. Extend mobile security to your smart watch. Don’t know where your phone is? Use your Android Wear device to make it scream so you can easily find it. Receive an alert when you step too far away from your phone, so you never leave it behind. آنتی ویروس بیت دیفندر، سرعت ویندوز را بهینه کرده و بهترین کارایی و سرعت را ارایه میکند. تصمیمات درست امنیتی را بجای کاربر اتخاذ کرده و کار با نرم افزار را ساده می کند. این بدان معناست که هیچ پیغام و پنجره و تنظیماتی به کاربر نمایش داده نمی شود. We designed Bitdefender to give you the most effective protection, combined with effective power management. Since most heavy lifting happens in the cloud, there is no drain on your device’s resources, so your battery life remains virtually unaffected. Bitdefender is amazingly powerful against malware, yet easy on your phone’s resources, so you won’t see any negative impact on performance. On-demand scanning is lightning fast, and the app only adds a second to the reboot time. With Bitdefender VPN you can stop worrying about privacy on the web. It protects your online presence by encrypting all Internet traffic. Bitdefender Mobile Security includes up to 200 MB daily encrypted traffic for your Android devices. 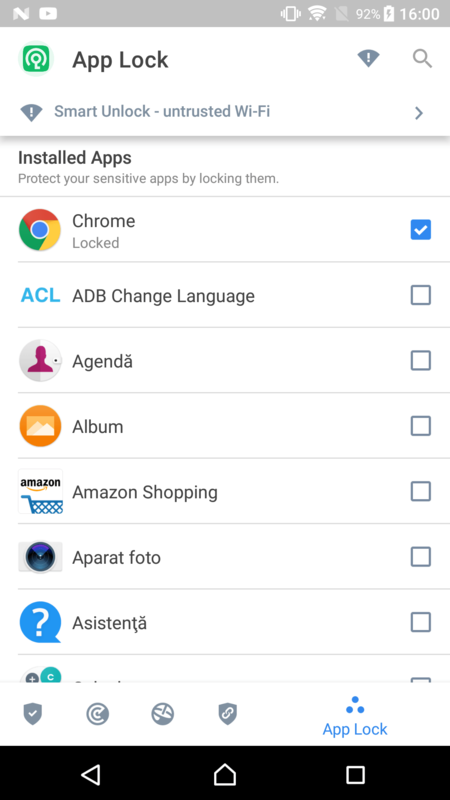 Protect your most sensitive apps so no one can mess with your settings or private info. 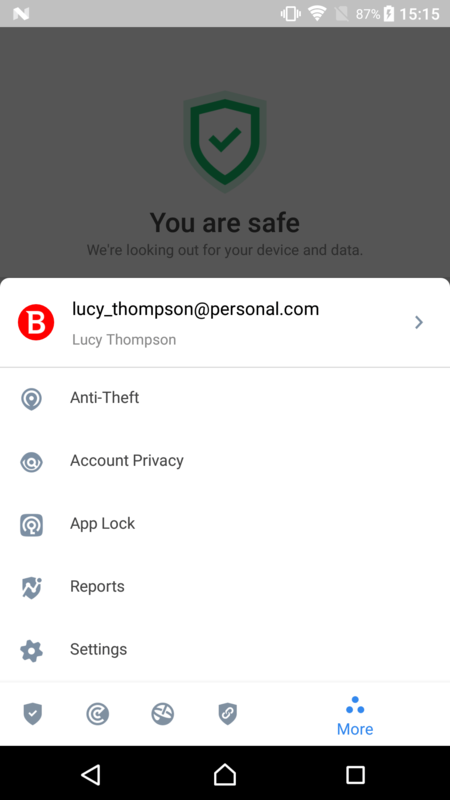 Bitdefender lets you protect apps with a PIN code, adding an extra layer of protection. 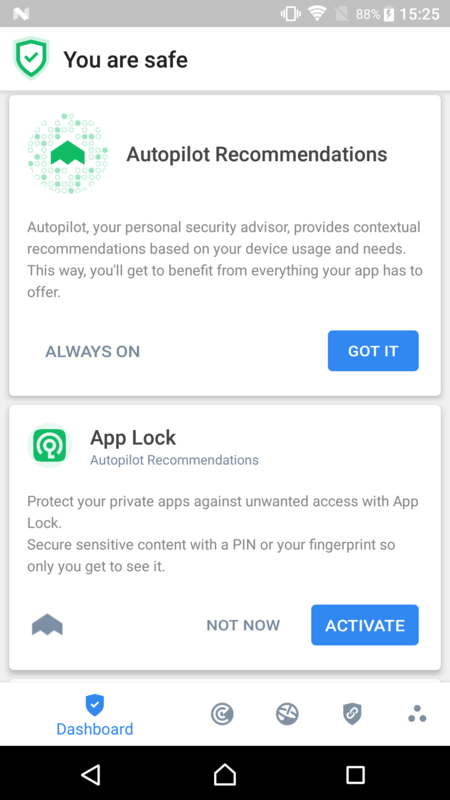 With Smart Unlock you can set your phone to allow direct access to your protected apps when using a trusted Wi-Fi network. Check if your online accounts have been involved in any data breach. With so many popular websites and apps that issue warnings about database leaks, it’s easy to lose track of your exposed accounts. Account Privacy notifies you when your sensitive data is at risk, and lets you take action depending on its status. With Bitdefender Anti-Theft you can remotely locate, lock or wipe your device in case of loss or theft. Plus, your Android phone is capable of self-defence: it snaps a mugshot of anyone who tries to tamper with it in your absence, and emails it to you.